While looking to entertain out-of-town guests with a unique Dallas dining experience, my husband discovered St. Ann’s. Built in 1927 as a school, the locale now touts the largest, and voted the best, patio in Dallas. And it was everything they said it was, locally farmed food/signature cocktails, and more. My 20-year-old said it looked like a scene from a Hollywood movie, where something big was about to go down. Hmmm… my wheels began to turn. Where every patron was perfectly dressed, and there was a melting pot of beautiful people, including an all-pastel-pink-and-blue party of women, I could envision Bond (James Bond) running across table tops in hot (in more ways than one) pursuit of the villain. What was a serenely social setting could, now in my mind, become pure chaos. Nothing quite like that happened: the most shocking thing we experienced was a blast of rock-concert-level music that literally made our hineys jump a few inches. The bartender got it under control within seconds and everyone went back to sipping their Bloody Marys. Before the blood-pressure-elevating surge of music, we did have a 45-minute wait. However it was not only painless but pleasurable. We headed up the stairs with our table-ready pager, and enjoyed stepping into a world I knew very little about. Above this cool-vibe dining establish is the second-largest Samurai Collection in the world (rotating one-tenth of the collection at a time). The masks and armour at The Ann & Gabriel Barber-Mueller Museum were incredibly detailed, adorned with various metals, gems and feathers. Some pieces were ornately beautiful while others were downright creepy. Ahhhh… brunch and a museum experience all for the price of a movie ticket with possibly a soda - no popcorn. And the no-calorie, candied cherry on top? 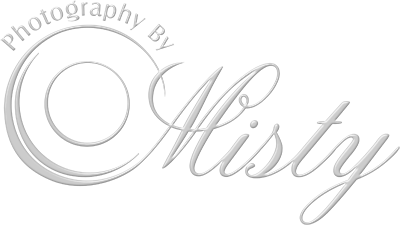 I found a plethora of settings for Dallas professional headshots and Dallas personal portraits. Anyone want to go play? Heck, we could even schedule in a museum tour and lunch.